A couple of weeks ago I started going to a strengthening class using weights and I have been advised to eat more protein, however I don’t want to eat more meat so I’ve been looking at where else I can get some extra protein Ito my diet. Lentils offer you 18g of protein per cooked cup, which is pretty impressive. 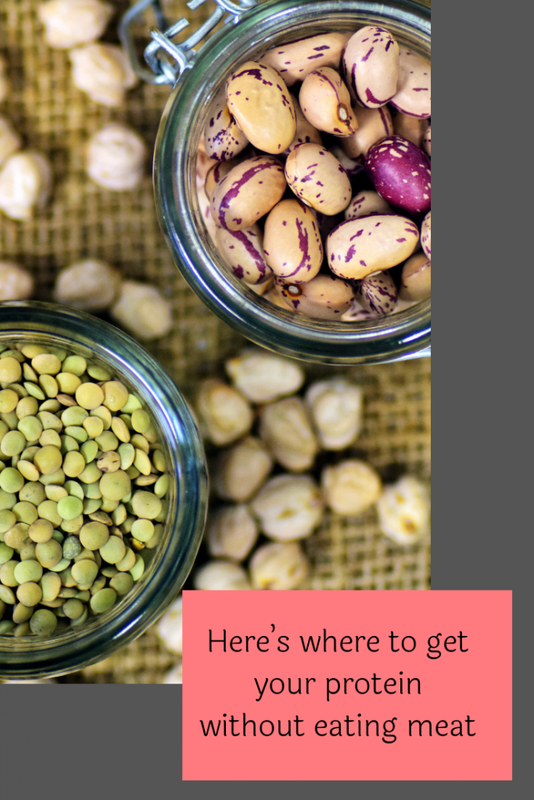 What’s more, they might already be on your plate considering how easy they are to work with, you can add them to soups, salads and even curries. Experiment with different varieties and try to sneak more of them into your everyday food preparations. Bean curd, also commonly known as tofu, is another powerful protein source, probably the most loved one among vegetarians, giving you around 8g of protein in just 100g serving. What’s best is the fact that tofu is also very versatile, you can add it to a lot of different food preparations and it’ll take your meals up a notch! Most varieties of beans, particularly black beans, kidney beans, pinto beans and chickpeas contain high amounts of protein, as much as 15g in a cup of cooked beans. Plus, most of these also contain many other important minerals like folate, phosphorous, potassium, magnesium, iron and even fibre! In fact, some studies have also revealed that a diet rich in lentils and beans can help control blood sugar and blood pressure levels as well. Greek yogurt offers you 23g of protein per cup, making it one of the best protein choices for vegetarians. You can add it to your smoothies, add it to your rice dishes or even add some chopped fresh fruit over it and have it as your dessert, you just can’t go wrong with it! Add some chia seeds to it and you’ll get a protein punch for your body, since chia seeds offer 3g of protein per tablespoon! Offering 9g of protein in a cup’s worth of serving, green peas are another superstar protein source on this list. Including more of these in your daily meals can also help you get a lot of fibre, which will keep your digestive system happy. For every cooked cup, quinoa gives you 8-9g of protein. Quinoa is also known to contain all 9 essential amino acids which makes it the ideal complete protein source. In addition, it turns out to be a good source of complex carbs, manganese, phosphorous, iron and magnesium. Cottage cheese is another great choice to add to your diet if you’re looking for good protein sources. It offers you 14g of protein in just half a cup, and you can experiment a lot with it as well, since it is so easy to work with. Eggs are so versatile to eat on their own or added to meals. The average egg contains 6-7 grams of protein. 100ml of Lifeway Kefir contains 3.2g of natural protein, calcium (one serving of Lifeway Kefir provides 30% of your daily calcium needs), potassium and vitamin D. It can aid digestion and increase immunity. Kefir also contains Alpha Hydroxy Acid (AHA) which is a popular ingredient in skin care products. If all of that, isn’t enough of a reason to try it, Lifeway Kefir also contains tryptophan, the amino acid that helps raise the levels of serotonin in your brain. As a veggie, I needed to read this! Had not heard of Kefir nor the high protein contents of greek yoghurt. Thank you, very useful post. I tried quorn nuggets last night and was blown away by them! This is really useful information! I have wondered how vegetarians would get the right amount of protein in their diet. I definitely think I’d struggle if I were to give up meat though! I did not know about peas, greek yoghurt or cottage cheese. I’m a vegetarian too so this is a mega useful post – thanks so much!